In Habit of Controlling Others? - Something New Everyday! Home Stress In Habit of Controlling Others? In Habit of Controlling Others? 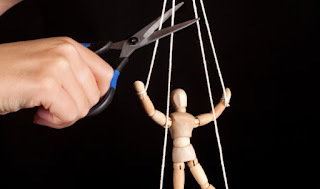 "Controlling" refers to unhealthy attempts to manipulate the behavior of others, having the need to control your environment, and becoming defensive or anxious when other people don't behave to your specifications – the way you think they should be. To be controlling means you are preoccupied with the actions of others and how those actions affect you. 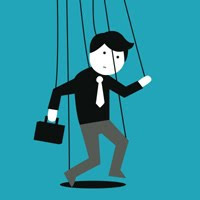 "Controlling" is highly stressful – both to the controller and to those who are being controlled. A person who is controlling carries with him a great deal of stress because; occasionally we can influence another person, but can't force him to be a certain way. To someone who is controlling, this is highly frustrating. What hurts the controlling person is what goes on inside ---- his feelings and emotions. The key element seems to be a lack of willingness to allow other people to fully be themselves, to give them space to be who they are, and to respect – really respect – the fact that people think differently. Deep down, a controlling person doesn't want other people to be themselves, but rather the image of who they want them to be. But people aren't an image of who we want them to be – they are who they are. The only way to become less controlling is to see the advantages of doing so. When you can make allowances in your mind for the fact that other people see life differently than you do, you'll experience far less internal struggle.